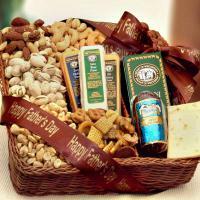 Father's Day gift baskets delivered; unique gift ideas for Dad. Have you thought about what you are going to do to pay tribute to your father this coming Father's Day? 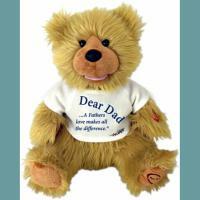 Perhaps there is someone in your life who is not your biological father and yet, they are a father figure to you. Either way, you may want to share the following story with those you love for the coming tribute to fathers everywhere. 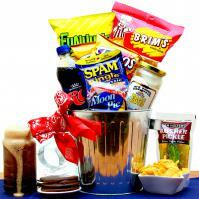 Did you know that Father's Day began in 1909? That's right. Mrs. John B. Dodd of Washington thought up the idea as a unique way to honor her father, William Smart. Mr. Smart was a Civil War veteran. He was widowed when his wife died during the birth of their sixth child. Being left to raise the newborn and five other children by himself on a rural farm, William Smart did a great job of showing the love of a father to his children. Find unique gift for Dad. 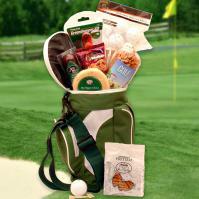 Send him Father's Day gifts and gift baskets of gourmet food, sports, golf, fishing gifts and more. 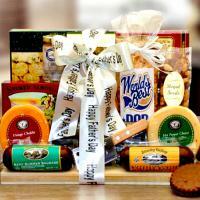 Shop for father, brother, husband, boss, boyfriend, grandfather and every father figure in your life. It was when Mrs. Dodd was an adult that she realized just how much her father had done as a single father. To honor him, she began her first official Father's Day. Interestingly, at about the same time in other areas of the country other folks were getting precisely the same idea about their fathers. Goes to show you when one person has a great idea others may be thinking the same great idea at the same time. In 1924 President Calvin Coolidge endorsed the idea of a national Father's Day. In 1966 President Lyndon Johnson signed a presidential proclamation declaring the 3rd Sunday of June as Father's Day. And that's how Father's Day began!